Easy to play but hard to master. 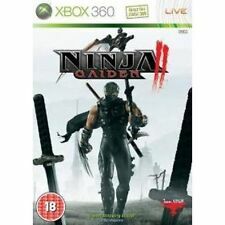 Ninja Gaiden 2 (Xbox 360). Assuming the role of a ninja warrior, players will experience an all-new combat system that requires skill and mastery of their full arsenal of weapons, including Obliteration Techniques that allow players to quickly and stylishly finish off an opponent. Condition - Good - Lots Of Scratches To The Disk. 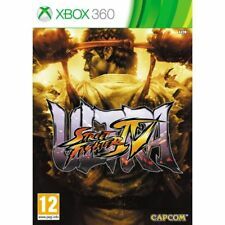 Street Fighter IV 4 Limited Collectors Edition Xbox 360 PAL Capcom. Condition is Good. Dispatched with Royal Mail 2nd Class. You are looking at a used xbox 360 game in excellent condition. Item will be posted with free signed delivery for piece of mind. Any questions please feel free to ask and thanks for looking. Will only post to the UK. XBOX 360 GAME 'THE WITCHER 2 ASSASSINS OF KINGS ENHANCED EDITION' WITH MAP. See pics for what you are buying. For XBox 360 & XBox One. Five new characters – Poison, Hugo, Elena, Rolento, and Decapre – join the fight, complete with their own unique play styles, bringing the current roster count to a massive 44 characters. In good condition. Any questions please ask. Buy from a trusted seller. Marvel vs Capcom 3 (Xbox 360) - RARE Limited Edition (NTSC) incl. Comic Book! 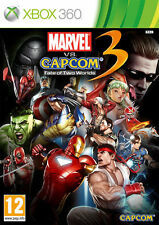 NTSC version of the fantastic steelbook edition of the original Marvel vs Capcom 3 (not Ultimate). Fight Night Champion (Microsoft Xbox 360, 2011) . Condition is Like New. Dispatched with Royal Mail 1st Class Large Letter. Online Training Mode – gives players new options to train together with their friends online. Five new characters – Poison, Hugo, Elena, Rolento, and Decapre – join the fight, complete with their own unique play styles, bringing the current roster count to a massive 44 characters. You can even add your own tattoos and logos using the new Paint Tool. If life in the ring ever bores you, there's a Story Designer mode that lets you take a directorial role in the proceedings. Each night you can dictate what matches, rules, interferences and story twists occur. Finish Him! Mortal Kombat's back, and it's better than ever! Gone are the 3D arenas, the uninspired landscapes, the confusing combos (sorry, kombos) and the limp fatalities. 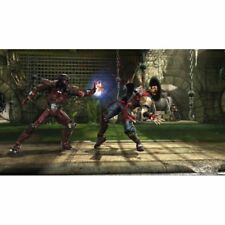 For a start, instead of an in-house engine Mortal Kombat is using Unreal - but the characteristics and the collision detection of the characters are of such a pinpoint quality that you'd never have known it was Epic's engine at first glance. Ultimate Marvel vs. Capcom 3 (Microsoft Xbox 360, 2011). Condition is Like New. Dispatched with Royal Mail 1st Class Large Letter. Tekken 6 (Microsoft Xbox 360, 2009). Condition is Like New. Dispatched with Royal Mail 1st Class Large Letter. We will always work with you to resolve any issues. have probably been used already. Title: Bulletstorm. Every enemy presents a new opportunity for stylish, over-the-top and ever increasingly bloody ways to take them down. Cash in these points for upgrades. Format: Microsoft Xbox 360. 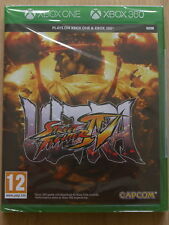 Street Fighter X Tekken (Microsoft Xbox 360, 2012) - European Version. Condition is Very Good. Dispatched with Royal Mail 1st Class Large Letter. Case has small crack (please see photo). 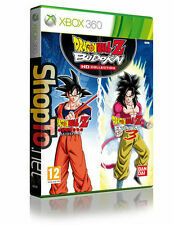 XBOX 360 Dragonball Z Battle of Z from 2013. BulletStorm (Microsoft Xbox 360, 2011) NEW and SEALED . Condition is New. Dispatched with Royal Mail 1st Class Large Letter. Driven by an all new graphics engine, the fan favourite Fatality is back and presented in more gory detail than ever before. Xbox 360 - WWE SmackDown vs Raw 2010 **New & Sealed** Official UK Stock. Condition is New. Dispatched with Royal Mail 1st Class Large Letter. 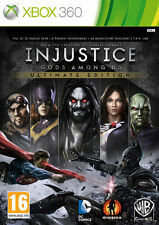 Injustice: Gods Among Us -- Ultimate Edition (Microsoft Xbox 360, 2013). Condition is Very Good. Dispatched with Royal Mail 1st Class Large Letter. WWE 2K14 (Microsoft Xbox 360, 2013) - European Version. Condition is Like New. Dispatched with Royal Mail 1st Class Large Letter. Set in a futuristic utopia, an elite peacekeeping force thwarts the rumblings of civil war. Narrowly surviving a crash landing and now stranded on the abandoned paradise planet of Stygia, Grayson and Ishi find themselves surrounded by hordes of mutants and flesh-eating gangs. BulletStorm (Microsoft Xbox 360, 2011) Disc Only. Condition is Good. Dispatched with Royal Mail 1st Class Large Letter. NetherRealm Studios has picked up this notion and run with it in Injustice: Gods Among Us. As the studio behind Mortal Kombat the developer is pretty well-placed to do it, too. In his grief, Superman crosses a line no-one ever thought he'd cross and pretty much the entire DC Universe is pulled into the events that follow. A simulation test of a new version of Combot results in the explosion of a mysterious science facility known as the Fight Lab. So Violet decides to use the other functioning Combot to complete the combat tests that she has prepared. Wrestling is for wusses! Doing fancypants fighting involving floating around and shooting fireballs out of your hands is for wusses! You'll start by creating and naming your character, picking height and weight, moulding your face and slapping tattoos on any part of your fighter you feel like. Largest Character Roster in Tekken History – 40 Playable Characters to Master! technologies create the most impressive HD visuals in Tekken history. Plays on XBOX ONE & XBOX 360. with XBOX Certificate of Authenticity Seal! Super Street Fighter 4 (Xbox 360, 2010). Condition is Very Good, complete with manual. Dispatched with Royal Mail 1st Class. WWE 2K14 (Microsoft Xbox 360, 2013) - European Version. Condition is Very Good. Dispatched with Royal Mail 1st Class Large Letter. Tekken 6 xbox 360 with manual. Condition is Good. Dispatched with Royal Mail 2nd Class Large Letter. 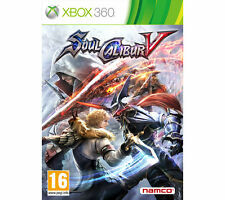 Soul Calibur IV 4 Xbox 360 "FREE UK P&P"